Live in style with the convenience of being in the heart of Southport, adjacent to the Southport Sharks Football Club and right next door to the Gold Coast University Hospital, close to Griffith University and much more! 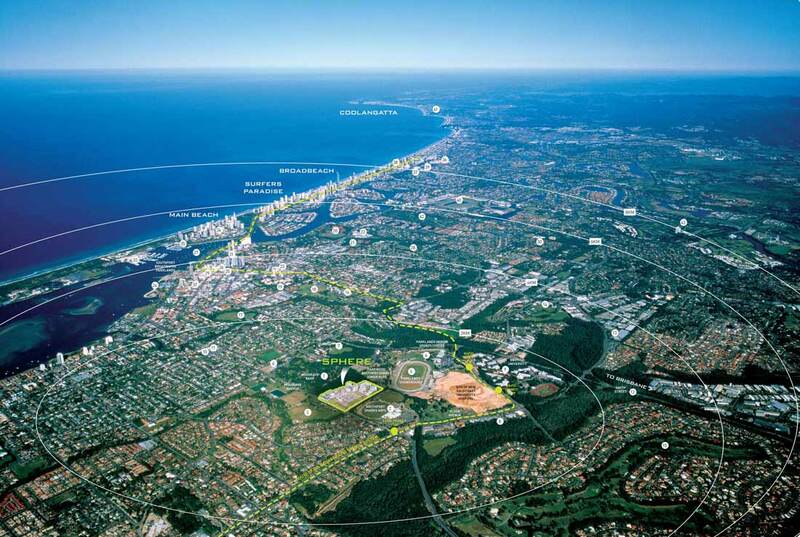 Sphere Southport Living neighbours Surfers Paradise, Broadbeach and Main Beach. All now easily accessible thanks to the Gold Coast Rapid Transit System. (G:Link Tram). Click for larger and printable PDF. For quality Gold Coast rentals, contact the friendly team at Sphere Gold Coast, perfectly situated in Southport and convenient for Griffith University Gold Coast Accommodation and the Gold Coast Hospital.